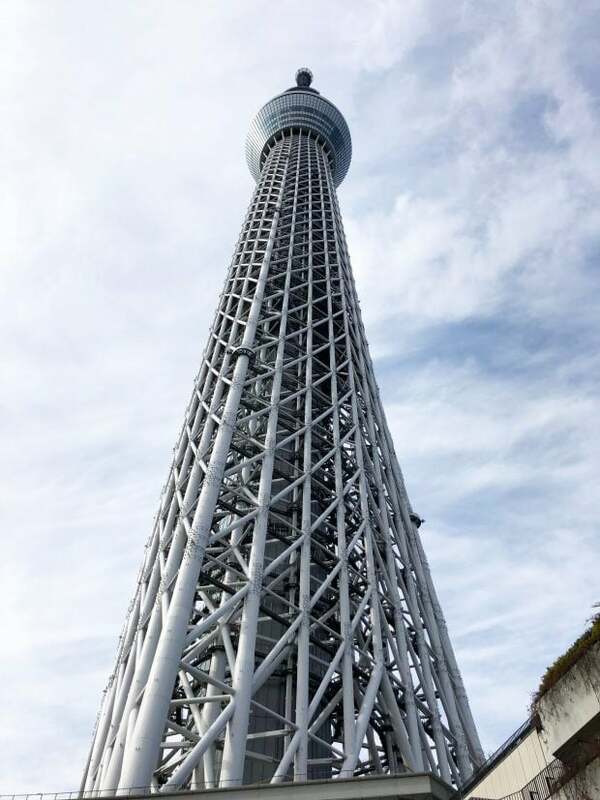 For all you globe-trotters out there, here’s 5 Things To Know Before You Go To Tokyo! 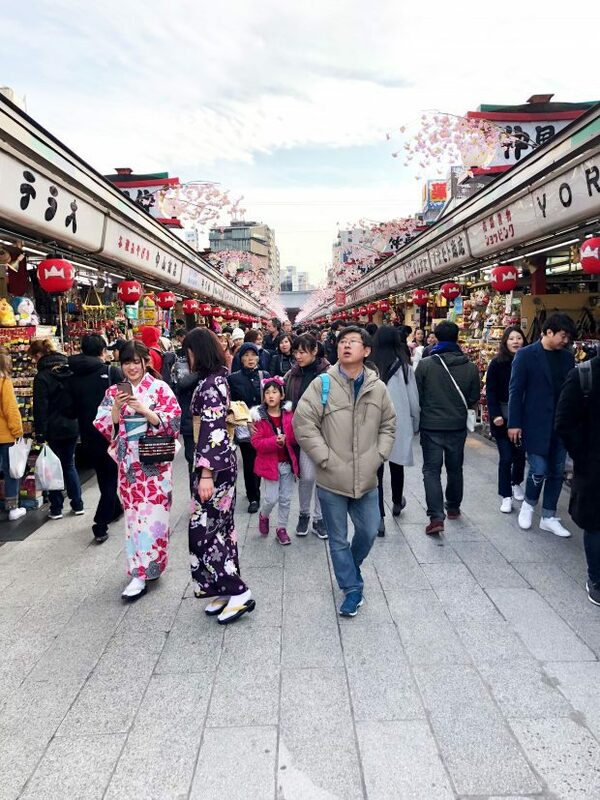 Planning a trip to Tokyo can be a bit overwhelming, but with these 5 pro tips, you will have everything you need to make the most of your time in the this fascinating city. From food tips to travel advice, you should be booking your plane ticket right NOW. I’ve traveled a good portion of Europe and have been to tropical locations. I’ve traveled from coast to coast in the U.S. Yet, in all my travels, nothing has spoken to me in such a deep and emotional way as Japan. Of course, when I got home and moved the photos to my hard drive… the hard drive then died. So I lost ALL of my photos from my camera… Which was one of the most devastating things to ever happen to me. Despite losing those photos, I had taken plenty on my phone and on the Man’s phone, so I didn’t lose every single memory that I had captured on our trip. However I did lose a lot of video and things that I wish I had to look back on when the years go by. So this is going to be one of a few different travel posts that I’ll be sharing with you all. 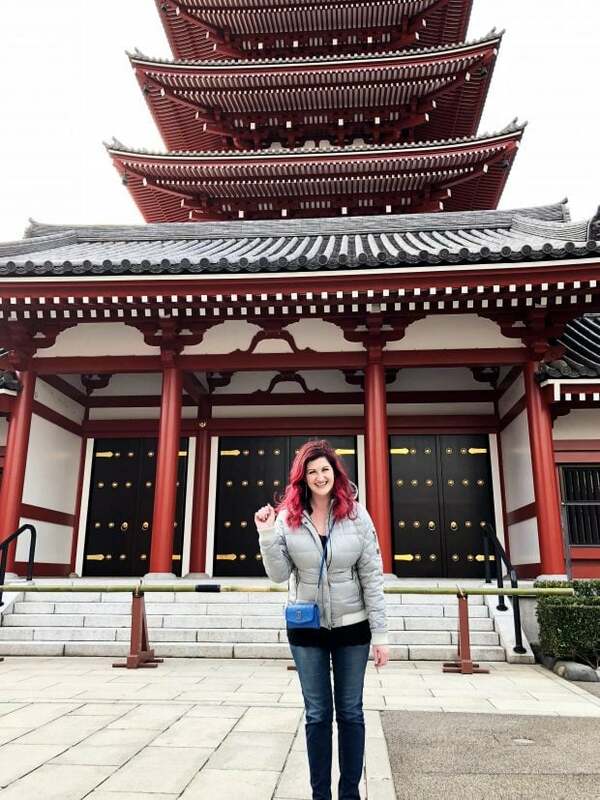 These are my tips to experiencing Tokyo in the most authentic way you possibly can. 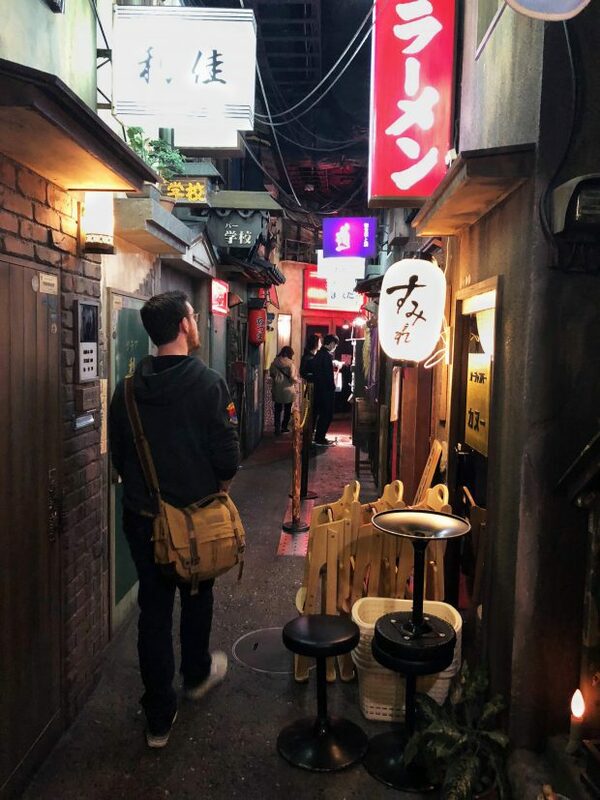 I’ll have some places noted as far as restaurants and bars that you should hit, but instead of keeping it mainly to eat and drink (thanks to the loss of a lot of my photos), I’ll be sharing more of how to take on a trip to Tokyo. Tokyo can be a little intimidating if you’ve never traveled to an Asian city that is similar (I.e. 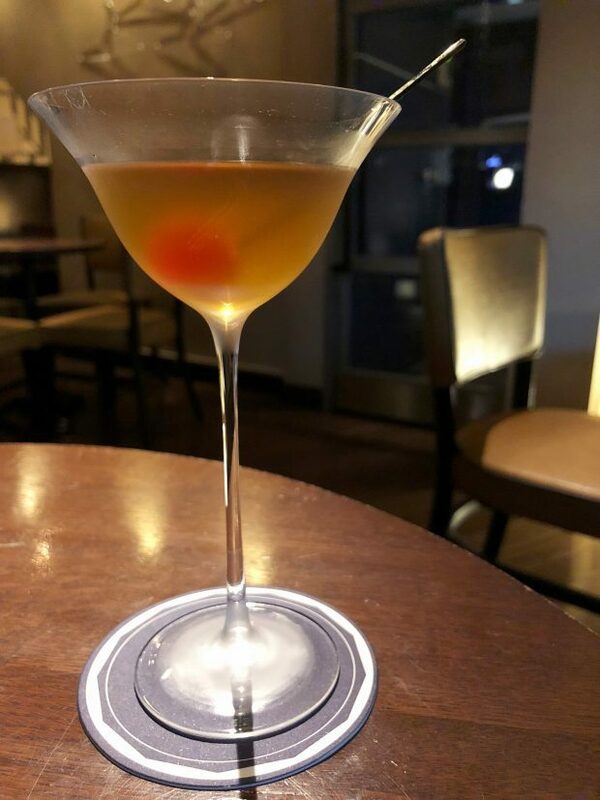 Singapore, Hong Kong, etc). 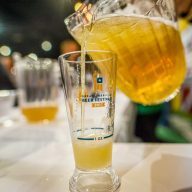 It’s totally different from anything that I experienced in my travels to Europe, and it’s a completely different culture. You are a world away in Tokyo and it’s pure magic if you open your mind to it whole heartedly. Ok, so the flight to Tokyo is LONGGGGGG. 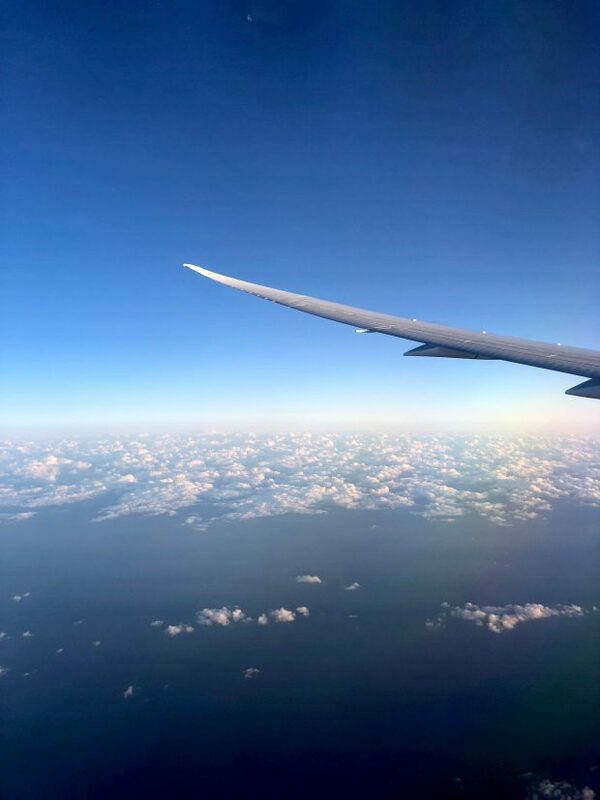 It doesn’t matter where you are in the United States, it’s a long haul to get across the Pacific Ocean and when you land, you will likely feel like you just went through a war. At least I did… (This is a good time to point out The Only Airplane Essentials You Need, because some of these things will help you stay sane on the plane). I am a firm believer in scheduling your flight based on what time you land in your destination when you are spending a long time getting there. Since the time difference is so screwy in Japan, you want to land in the early evening. 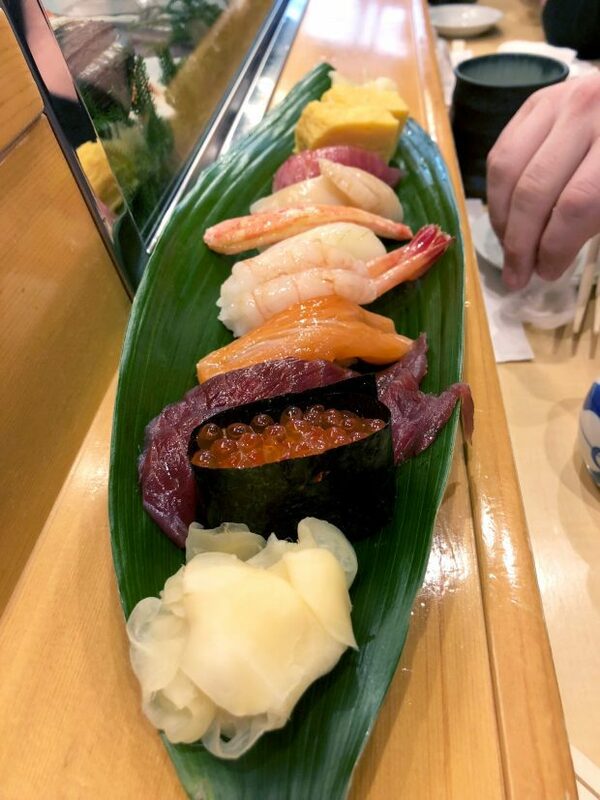 Well, after you get through the airport, get your luggage, get to your hotel in Tokyo, and set your bags down… you are going to be STARVING. We got to our hotel room in Shinjuku and all I wanted to do was lie down and die for a few hours. The Man literally had to drag me off the bed to make me go out into the world to eat. After a few blocks of walking, I was right back in the real world, feeling a little groggy but SO excited that we were finally in Japan. We found a place after a quick search in our area (pocket wifi is a MUST btw, so make sure you get that ordered and sent to your hotel room before you arrive) and it was one of the best places we ate at. The best part of Tokyo is a lot of places are those hole-in-the-wall tiny places that I seek out here in Denver. 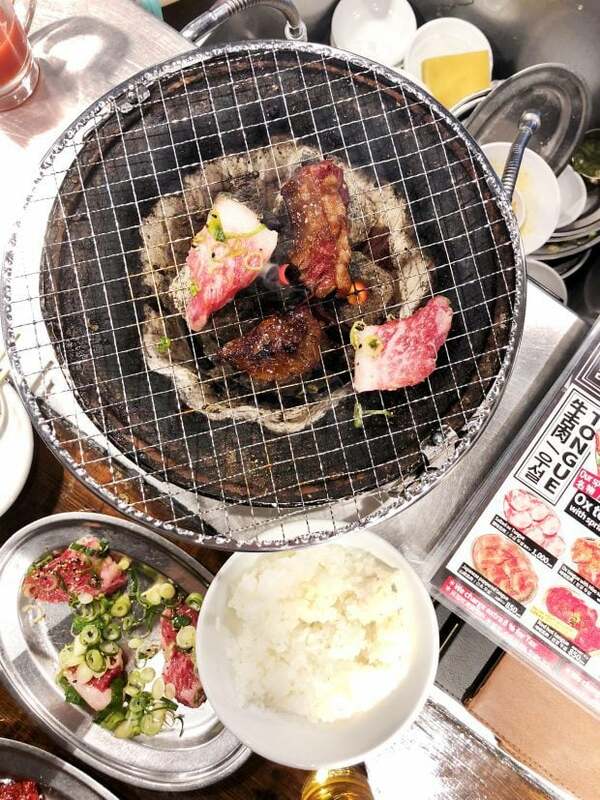 We ended up at Don Don, where we ordered meats on meats on meats, grilling them on grills right in front of us, and drinking beers while eavesdropping on some American businessmen talking about late night adventures in Tokyo. It was one of my favorite nights of the whole trip to be honest. Because we hit the ground running. We got on Tokyo time and went to bed at 11pm after stuffing our faces with all the food and beer. So you know all those crazy food items that you see all over Facebook in videos and photos? 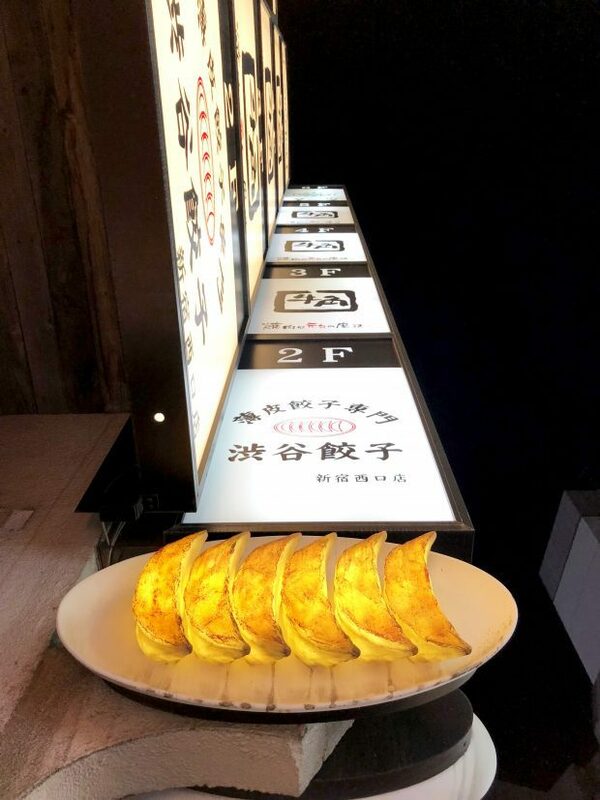 From insanely tall ice cream cones to creative theme restaurants, jiggly pancakes to ramen that is literally set on fire. It all may seem a little gimmicky, and if you were in a typical American city, I would say skip it. However, in Japan, they take their crazy up to a whole new level when it comes to food fads. And it’s GOOD. 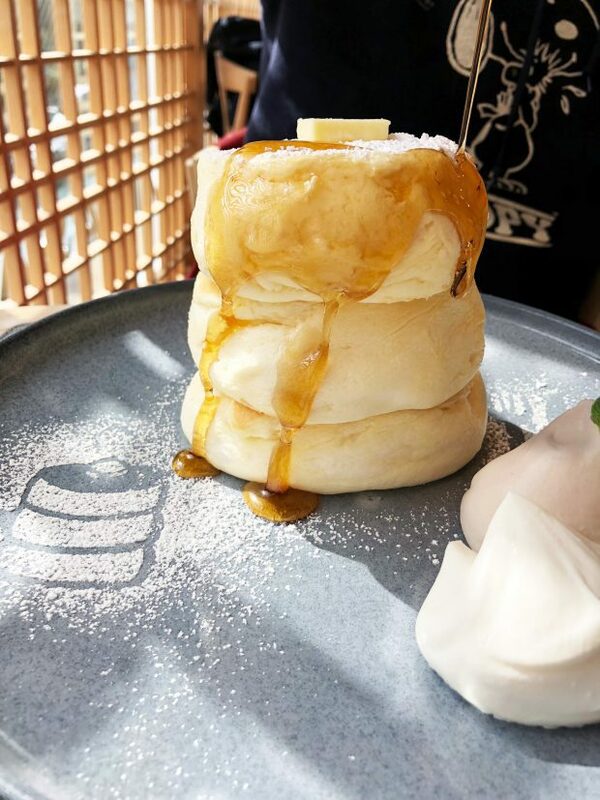 The jiggly pancakes at Micasadeco & Cafe were absolutely divine. They jiggled like crazy and with butter and maple syrup, they were melt-in-your-mouth amazing. The Ramen Museum is well worth the 45 minute ride outside of Shinjuku so you can experience the full depth of the world of ramen. 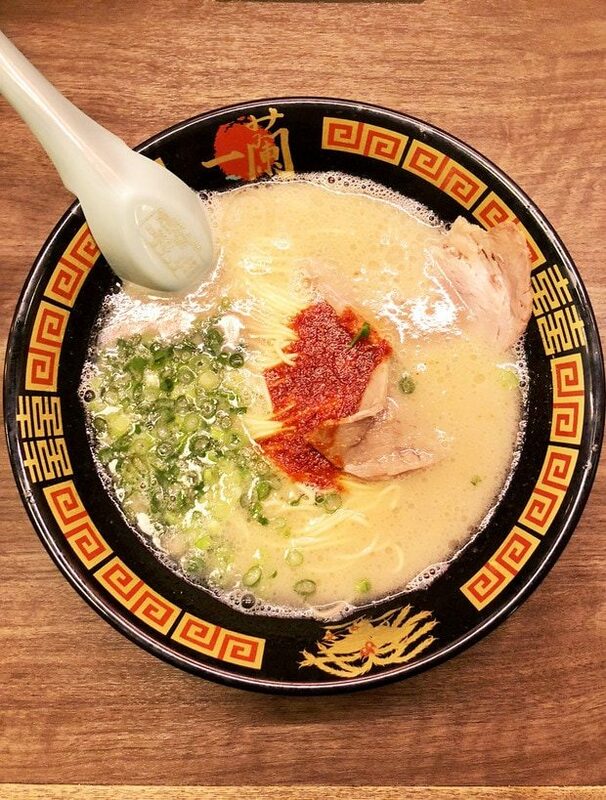 When I went to Tokyo, I only knew of a couple different types of ramen, but there are more than you would think. 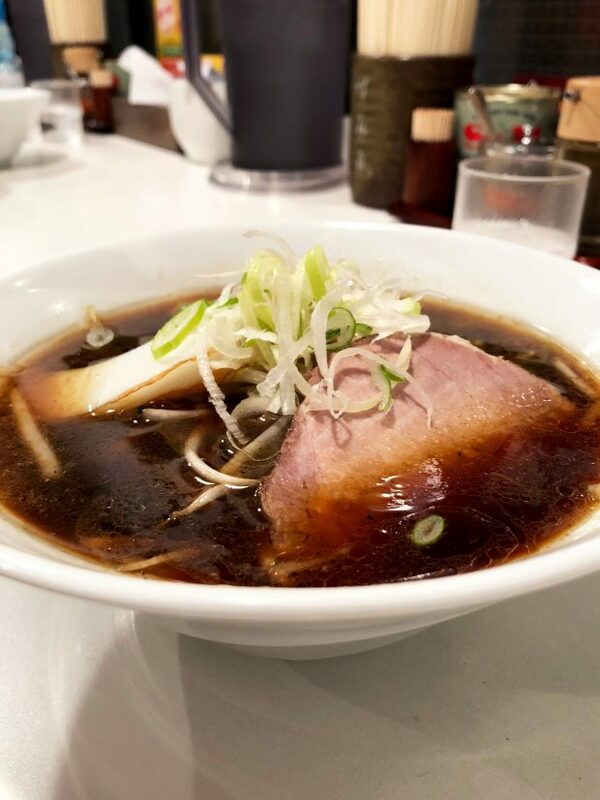 The Ramen Museum is an immersive experience where you can buy sample bowls to taste every single style (note that the sample bowl sizes are actually quite big, so come hungry!). 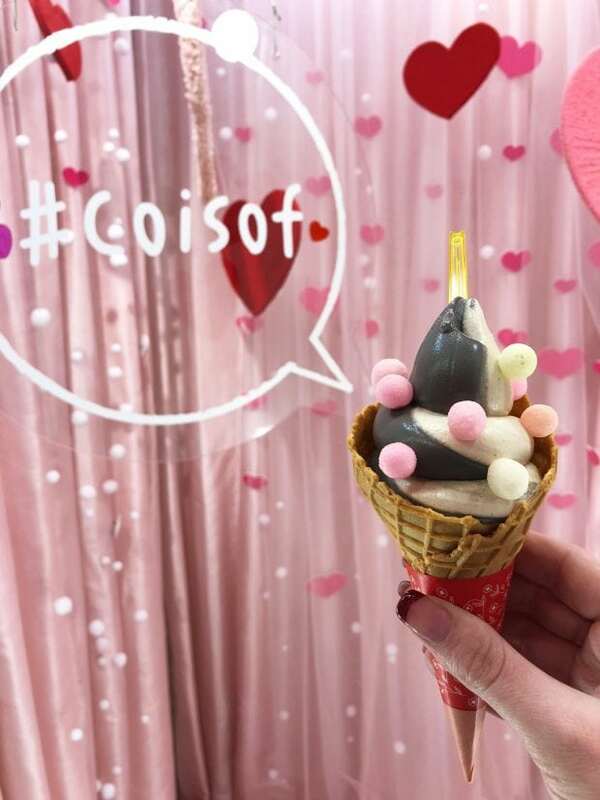 Ice cream at Coisof was a fun experience in the center of Shibuya. The creamy mix of white sesame and black sesame ice cream was a total surprise to my taste buds. Plus to cute little colorful toppings are a delightful pop to accompany the smoothness of the ice cream. 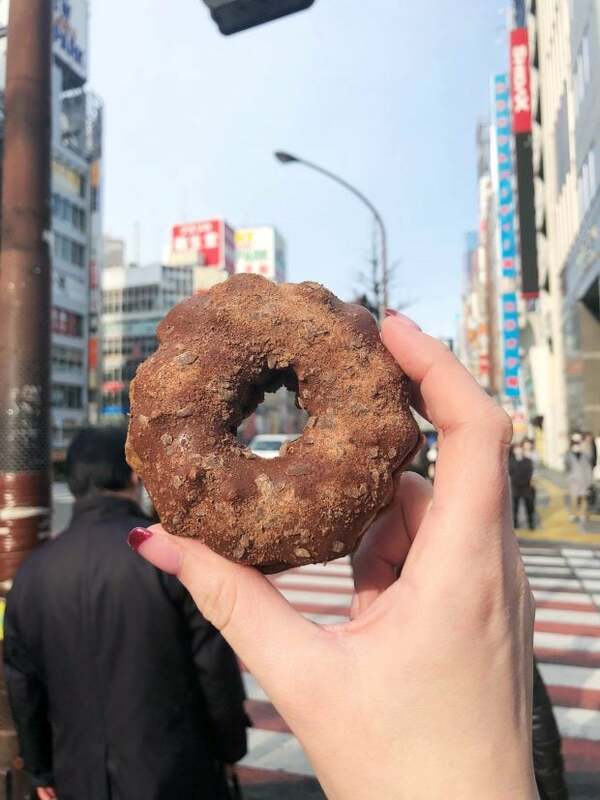 We spent hours wandering the food shops at the base of the Tokyo Tower and it was one of the best surprises to stumble upon after hearing about one candy I needed to seek out in the sea of shops that live there. So dive into the ridiculous food trends head first. 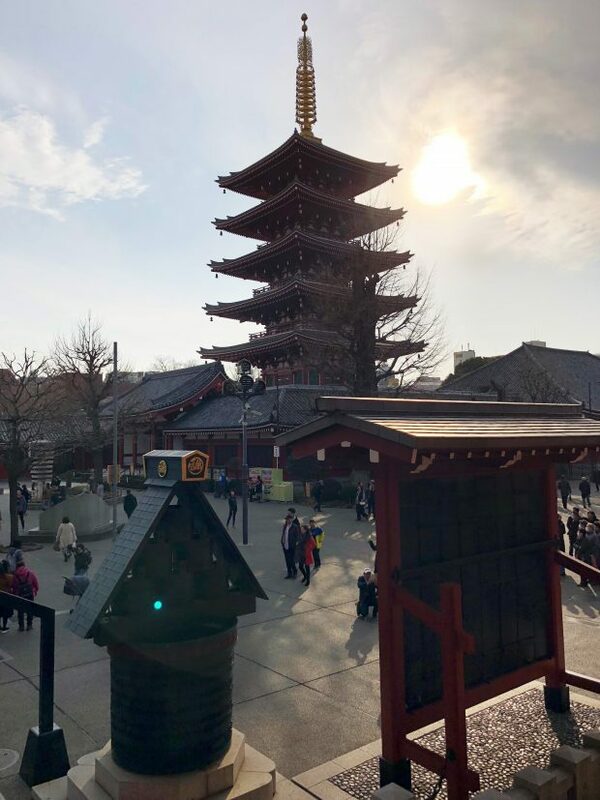 I highly recommend following Red Duck Post on Facebook for some of the more unique experiences you can run into in Tokyo and surrounding areas of Japan. 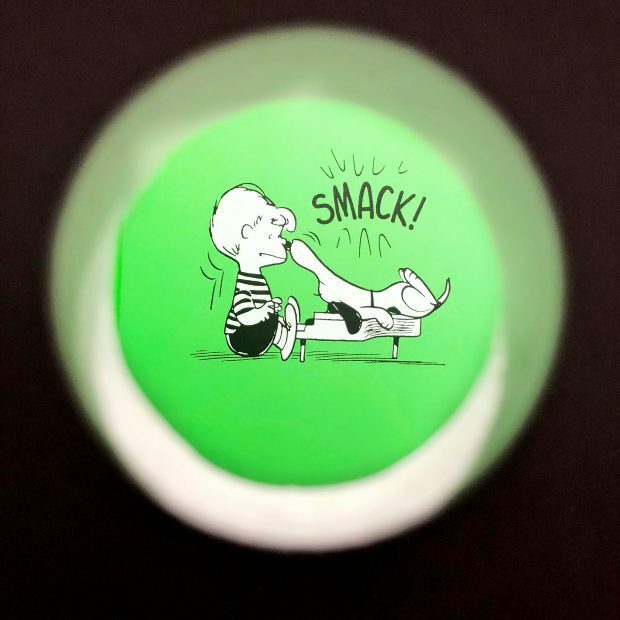 It’s worth every single tasty bite and every memory that you make. 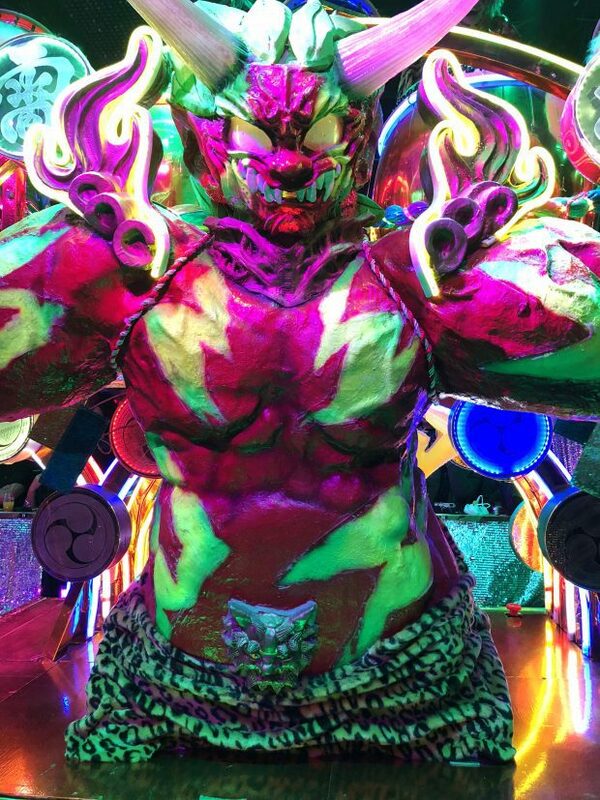 If there is anything I can recommend strongly, it’s a trip to the Robot Restaurant in Shinjuku. I mean, Anthony Bourdain urged viewers to go see it in his show, and I was not disappointed. It’s 100% touristy but dang, they put on an incredible show that you will never forget. 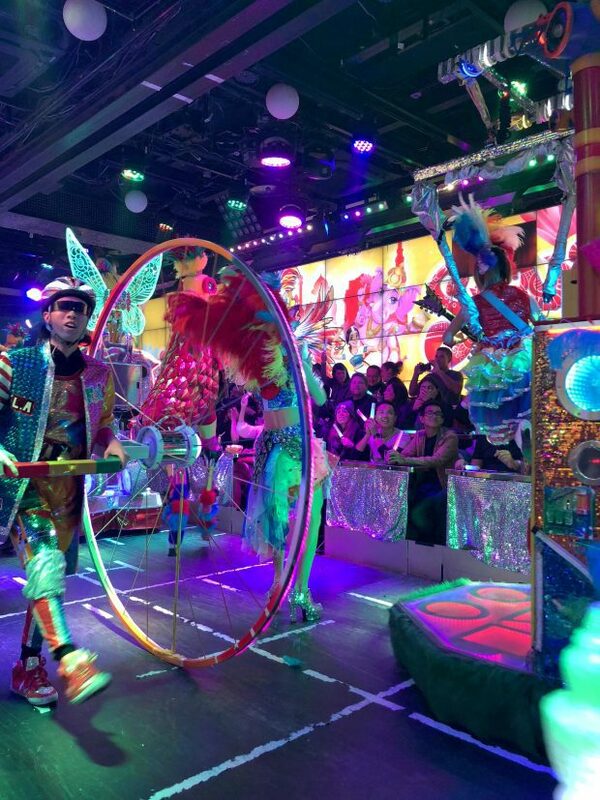 There’s robots, dinosaurs, dancers, a light show, glow sticks, lasers, and a whole ridiculous story line with ominous narration. When you walk out, I’m pretty sure the feeling is similar to what I would imagine coming down from an intense acid trip would feel like. But without what I would imagine to be a hell of a hangover. The only thing to keep in mind is that you don’t HAVE to eat there, so be sure to decline the meal and eat either before or after the show. I am notorious for planning to much when it comes to trip itineraries. I spend days, if not weeks, combing through pages and pages of information that leaves me with an intense itinerary without much down time. Whether you like down time or not, you need to leave room for one thing. This was the first trip where I scaled back on the planning a great bit. 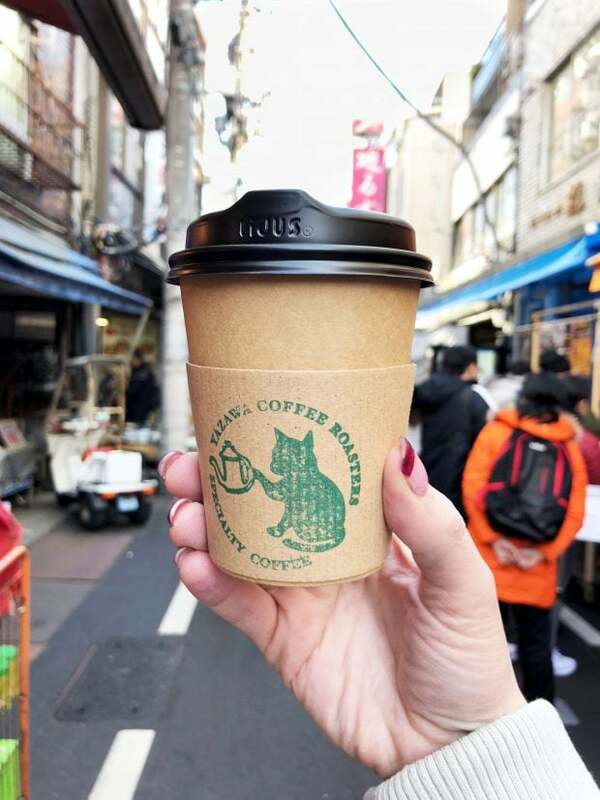 Now of course, I bought tickets that needed to be bought ahead, planned for pocket wi-fi, made hotel reservations and made a list of must-see sights/bites/sips. However, I also left a lot of extra time in the plan for exploration. Tokyo is HUGE and there are so many levels to the city. Pro Tip: Don’t forget to always be looking around you AND upwards as you walk through the city. There is SO much to see EVERYWHERE. Point is, you need to leave space to adventure into new areas of the city. 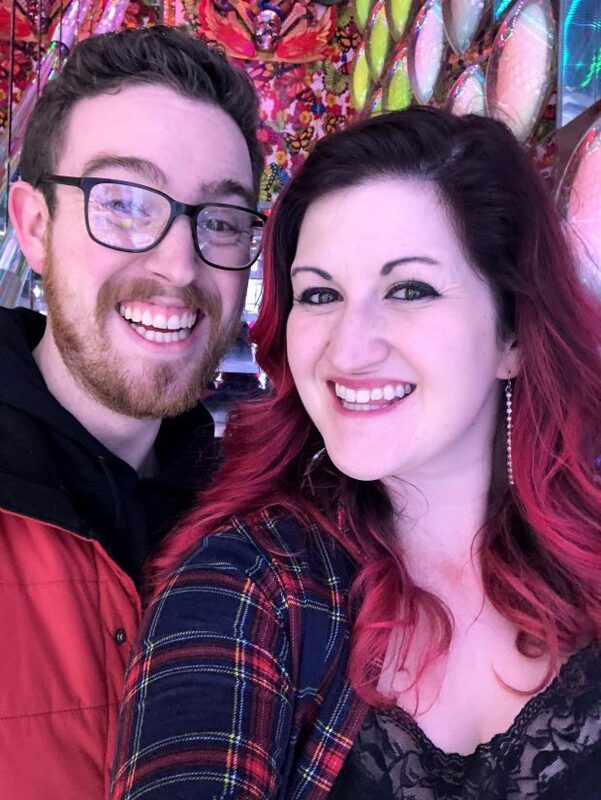 This was exactly how the Man and I stumbled upon some of our most cherished experiences because we weren’t tightly planned so we weren’t rushing from place to place. We found a small sake shop on our way to Sensō-ji, where we took our first sips of sake in Japan and learned about so many different styles – as well as how to properly taste the sake. We even found a handmade sake set that we toted home with us (along with a few select bottles of sake of course). 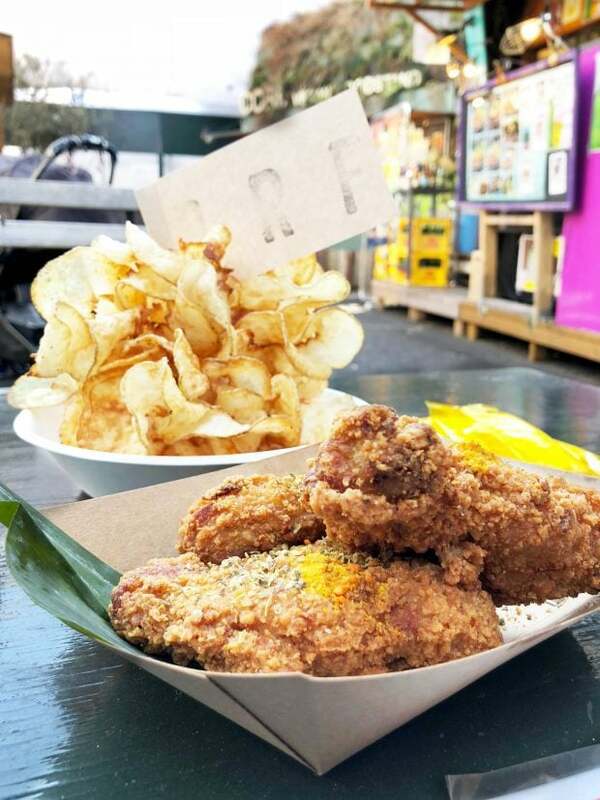 It’s also how we were able to spend ample time down fried chicken and ribbon cut fries at a little food hall area in Shibuya that was tucked back from the main shopping drag. 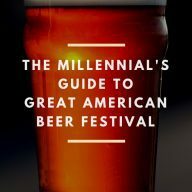 We stumbled upon a ridiculous exhibit for the new Samsung Galaxy phone and waited in the thankfully not-too-long line to virtually race each other down ski jumps, pedal standing bikes on a virtual course, experience 360 degree photography and play a virtual reality game that felt WAY too real. 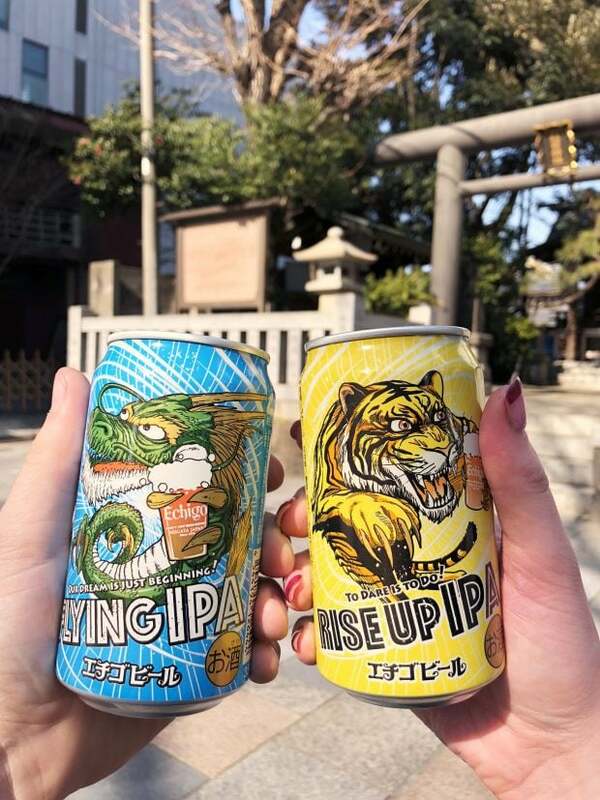 There are a million unique experiences to find in Tokyo everyday, from pop up shops to immersive experiences, hidden gem restaurants to impeccable beer bars like Mikkeller tucked back in a quite area in the city. It’s the little random finds that made Tokyo one of the best trips of my life. 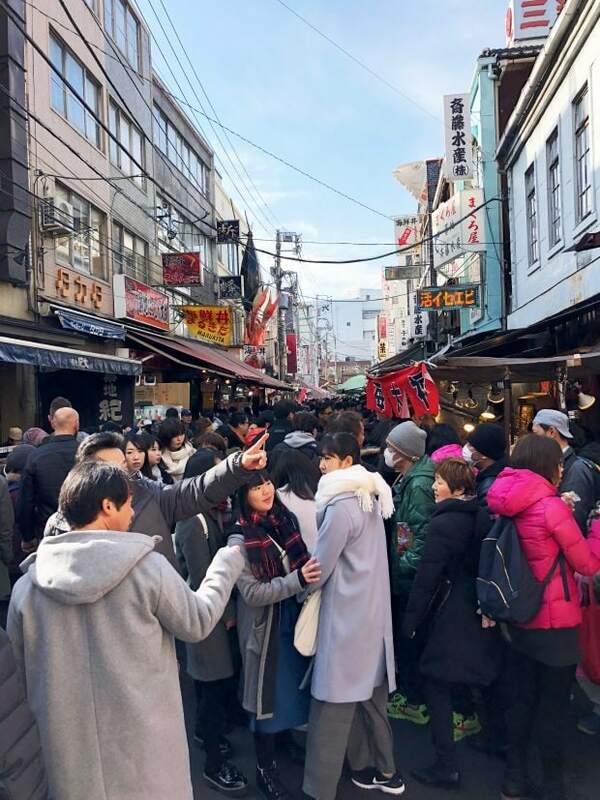 If you LOVE food and you go to Tokyo, you have to go to Tsukiji Market. 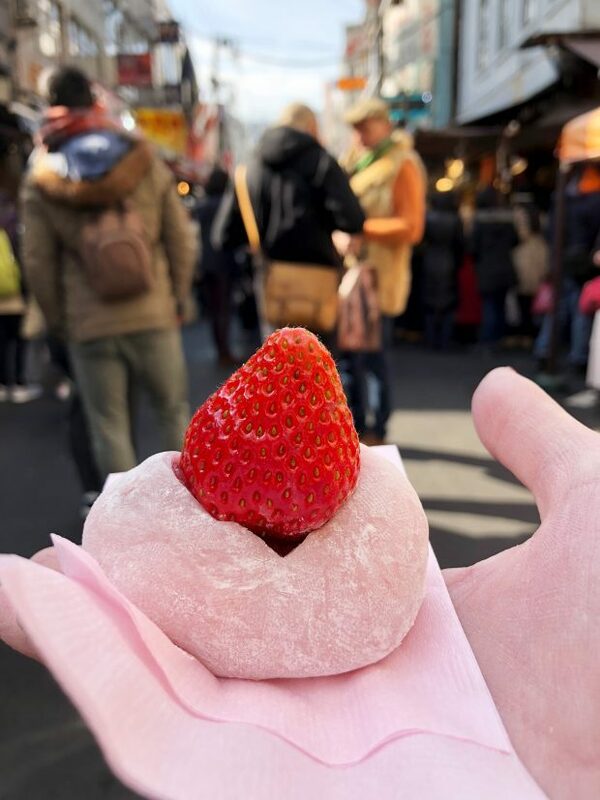 Wandering through aisles full of shops that are literally overflowing with food is one of the most unique food market experiences I have ever had. To make it the perfect day, be sure that you go early. The market opens early, obviously, and getting there at 8am is oh-so worth it. All I can say that it gets crowded FAST. Soon the bustling market gets overwhelmed with people, small cars, and carts pushing you through the tiny alleys. Arrive in the morning and indulge in a sushi breakfast at any one of the many restaurants that are in the market. There are a few big name ones that you’ll come across with lines out the door, but quite honestly, you can go almost anywhere and get the freshest tasting fish you’ve ever put in your mouth. We stopped at a hole-in-the-wall spot without a wait and indulged in as much nigiri as we could stomach, with ample amounts of green tea. Don’t eat too much sushi, because there’s lots more to eat in the market. Wander around and try random bites. 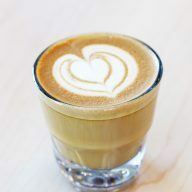 There are skewers of seafood, mochi topped with Japanese strawberries (a MUST to try – they are succulent and surprising in their flavor), ice cream, coffee (be sure to check out the hidden Yazawa Coffee Roasters for a pour over that’ll leave you weak at the knees), and so much more. Buy spices! 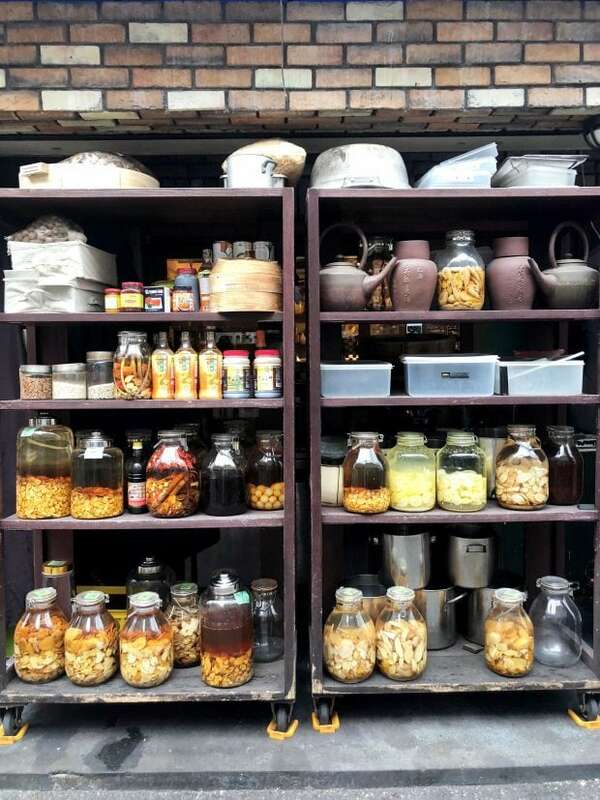 Of all the places to buy spices, this market was my favorite! We found some of the seven chili spices that we experienced at a local ramen shop tucked in a shop filled with other spices and sauces. If you are thinking about buying something, just buy it. Taste the random sweet, buy the package of spices, talk yourself into the chopstick set. I promise you, everything you see over there is unique and you might not come across something similar. Side note and pro tip: be sure to pack an empty bag for souvenirs when you travel! You can also plan to buy an extra bag once you get over there – we did that and it worked perfectly! For a glimpse into our trip, check out the video below! 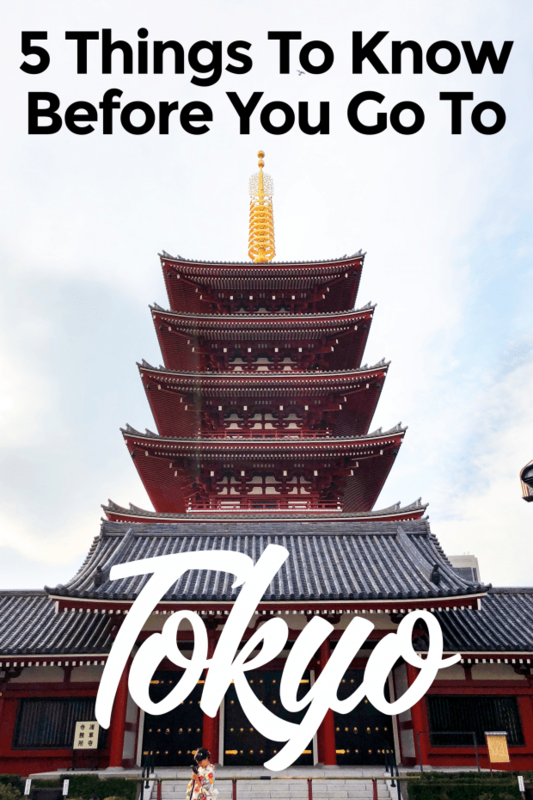 Pin this 5 Things To Know Before You Go To Tokyo guide for later!